Liczba stron: 70 Jest to ujednolicona liczba stron, która ułatwi Ci porównanie długości książek. Każda strona Legimi to 200 słów. The Tao Te Ching, Daodejing, Dao De Jing, or Daode jing, also simply referred to as the Laozi, is a Chinese classic text. According to tradition, it was written around 6th century BC by the sage Laozi, a record-keeper at the Zhou dynasty court, by whose name the text is known in China. The text's true authorship and date of composition or compilation are still debated, although the oldest excavated text dates back to the late 4th century BC.The Tao Te Ching, along with the Zhuangzi, is a fundamental text for both philosophical and religious Taoism, and strongly influenced other schools, such as Legalism, Confucianism, and Chinese Buddhism, which when first introduced into China was largely interpreted through the use of Daoist words and concepts. Many Chinese artists, including poets, painters, calligraphers, and even gardeners, have used the Daodejing as a source of inspiration. Its influence has also spread widely outside East Asia, and is among the most translated works in world literature. The Tao Te Ching, Daodejing, Dao De Jing, or Daode jing, also simply referred to as the Lao Tzu, is a Chinese classic text. According to tradition, it was written around 6th century BC by the sage Lao Tzu, a record-keeper at the Zhou dynasty court, by whose name the text is known in China. The text's true authorship and date of composition or compilation are still debated, although the oldest excavated text dates back to the late 4th century BC. 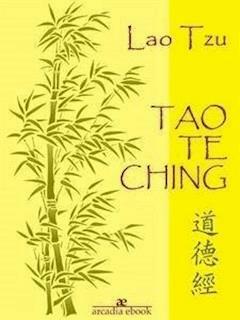 The Tao Te Ching, along with the Zhuangzi, is a fundamental text for both philosophical and religious Taoism, and strongly influenced other schools, such as Legalism, Confucianism, and Chinese Buddhism, which when first introduced into China was largely interpreted through the use of Daoist words and concepts. Many Chinese artists, including poets, painters, calligraphers, and even gardeners, have used the Daodejing as a source of inspiration. Its influence has also spread widely outside East Asia, and is among the most translated works in world literature. The Wade–Giles romanization "Tao Te Ching" dates back to early English transliterations in the late 19th century; its influence can be seen in words and phrases that have become well established in English. "Daodejing" is the pinyin romanization. The Tao Te Ching has a long and complex textual history. On one hand, there are transmitted versions and commentaries that date back two millennia; on the other, there are ancient bamboo, silk, and paper manuscripts that archeologists discovered in the last century. Dào/tao literally means "way", or one of its synonyms, but was extended to mean "the Way." This term, which was variously used by other Chinese philosophers (including Confucius, Mencius, Mozi, and Hanfeizi), has special meaning within the context of Taoism, where it implies the essential, unnamable process of the universe. Dé/te means "virtue", "personal character," "inner strength" (virtuosity), or "integrity." The semantics of this Chinese word resemble English virtue, which developed from virtù, a now-archaic sense of "inner potency" or "divine power" (as in "healing virtue of a drug") to the modern meaning of "moral excellence" or "goodness." Compare the compound word taote ( pinyin: Dàodé; literally: "ethics", "ethical principles," "morals," or "morality"). Jīng/ching as it is used here means "canon," "great book," or "classic." Thus, Tao Te Ching can be translated as "The Classic of the Way's Virtues." The title Daodejing is an honorific given by posterity, other titles include the amalgam Lǎozǐ Dàodéjīng, the honorific Daode Zhen Jing, and the Wuqian wen. The received Tao Te Ching is a short text of around 5,000 Chinese characters in 81 brief chapters or sections. There is some evidence that the chapter divisions were later additions–for commentary, or as aids to rote memorization–and that the original text was more fluidly organized. It has two parts, the Tao Ching and the Te Ching, which may have been edited together into the received text, possibly reversed from an original "Te Tao Ching." The written style is laconic, has few grammatical particles, and encourages varied, even contradictory interpretations. The ideas are singular; the style poetic. The rhetorical style combines two major strategies: short, declarative statements and intentional contradictions. The first of these strategies creates memorable phrases, while the second forces us to create our own reconciliations of the supposed contradictions. The Chinese characters in the original versions were probably written in zhuànshū, while later versions were written in lìshū and kǎishū styles. Daoist Chinese Characters contains a good summary of these different calligraphies. The Tao Te Ching is ascribed to Lao Tzu, whose historical existence has been a matter of scholastic debate. His name, which means "Old Master", has only fueled controversy on this issue. (Kaltenmark 1969:10). The first reliable reference to Lao Tzu is his "biography" in Shiji (63, tr. Chan 1963:35–37), by Chinese historian Sima Qian (ca. 145–86 BC), which combines three stories. First, Lao Tzu was a contemporary of Confucius (551–479 BC). His surname was Li, and his personal name was Er or Dan. He was an official in the imperial archives, and wrote a book in two parts before departing to the West. Second, Lao Tzu was Lao Laizi, also a contemporary of Confucius, who wrote a book in 15 parts. Third, Lao Tzu was the Grand Historian and astrologer Lao Dan, who lived during the reign (384–362 BC) of Duke Xian of Qin. Generations of scholars have debated the historicity of Lao Tzu and the dating of the Tao Te Ching. Linguistic studies of the text's vocabulary and rhyme scheme point to a date of composition after the Shi Jing yet before the Zhuangzi. Legends claim variously that Lao Tzu was "born old"; that he lived for 996 years, with twelve previous incarnations starting around the time of the Three Sovereigns before the thirteenth as Lao Tzu. Some Western scholars have expressed doubts over Lao Tzu's historical existence, claiming that the Tao Te Ching is actually a collection of the work of various authors. Many Taoists venerate Lao Tzu as Daotsu the founder of the school of Dao, the Daode Tianjun in the Three Pure Ones, one of the eight elders transformed from Taiji in the Chinese creation myth. Among the many transmitted editions of the Tao Te Ching text, the three primary ones are named after early commentaries. The "Yan Zun Version," which is only extant for the Te Ching, derives from a commentary attributed to Han Dynasty scholar Yan Zun (fl. 80 BC-10 AD). The "Heshang Gong Version" is named after the legendary Heshang Gong who supposedly lived during the reign (202–157 BC) of Emperor Wen of Han. This commentary (tr. Erkes 1950, and Reid 2015) has a preface written by Ge Xuan (164–244 AD), granduncle of Ge Hong, and scholarship dates this version to around the 3rd century AD. The "Wang Bi Version" has more verifiable origins than either of the above. Wang Bi (226–249 AD) was a famous Three Kingdoms period philosopher and commentator on the Tao Te Ching (tr. Lin 1977, Rump and Chan 1979) and the I Ching. Tao Te Ching scholarship has lately advanced from archeological discoveries of manuscripts, some of which are older than any of the received texts. Beginning in the 1920s and 1930s, Marc Aurel Stein and others found thousands of scrolls in the Mogao Caves near Dunhuang. They included more than 50 partial and complete "Tao Te Ching" manuscripts. One written by the scribe So/Su Dan is dated 270 AD and corresponds closely with the Heshang Gong version. Another partial manuscript has the Xiang'er commentary, which had previously been lost. In 1973, archeologists discovered copies of early Chinese books, known as the Mawangdui Silk Texts, in a tomb dating from 168 BC. They included two nearly complete copies of the text, referred to as Text A and Text B, both of which reverse the traditional ordering and put the Te Ching section before the Tao Ching, which is why the Henricks translation of them is named "Te-Tao Ching". Based on calligraphic styles and imperial naming taboo avoidances, scholars believe that Text A can be dated to about the first decade and Text B to about the third decade of the 2nd century BC. In 1993, the oldest known version of the text, written on bamboo tablets, was found in a tomb near the town of Guodian in Jingmen, Hubei, and dated prior to 300 BC. The Guodian Chu Slips comprise about 800 slips of bamboo with a total of over 13,000 characters, about 2,000 of which correspond with the Tao Te Ching, including 14 previously unknown verses. The Tao Te Ching was originally written in zhuànshū calligraphy style. It is difficult to obtain modern replicas of these styles except through specialty stores. Most modern versions use the newspaper print style kǎishū. The Tao Te Ching has been translated into Western languages over 250 times, mostly to English, German, and French. According to Holmes Welch, "It is a famous puzzle which everyone would like to feel he had solved."